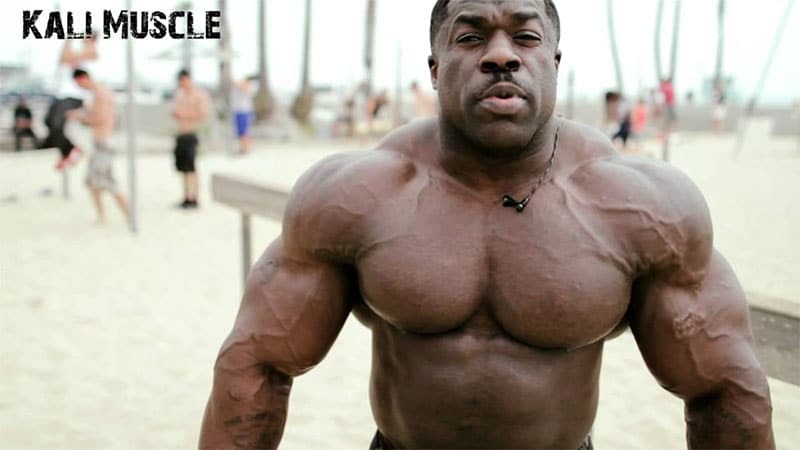 Kali Muscle’s Hyphy Mud has made a huge wave in the fitness industry because it is cheap, simple, and effective. Coffee is one of nature’s best “pre-workout” and mixing it with soda for some extra sugar and changing the flavor is a great idea. If you don’t know what hyphy mud is, it started out as a pre-workout that prisoners used since they had access to instant coffee and soda. What is Hyphy Mud 2? Hyphy mud 2 also known as HM2 Energy Drink is Kali’s new drink. He is using Pure Growth to produce this specially formulated drink that will include more caffeine and taste better. This drink will be just like popping open a Monster or Rockstar energy drink, no more fighting the fizz, spilling the instant coffee everywhere, or figuring out how to mix it up better. Pure Growth is the company that made 50 Cent’s Street King drink and makes many great beverages including alcohol. What’s going to be different? Well like I said, HM2 is going to be labeled as an energy drink, not necessarily a pre-workout and will be pre-mixed which will save a lot of headaches. Kali stresses that the 5 hour energy drinks and Monster energy drinks are overpriced and HM2 will be cheap. I don’t know about you, but I am all about being cost-effective. From what I’ve learned, there will be 200mg of caffeine in the drink and will be available at most retail stores that other energy drinks are. I don’t know much about it now and I will update you when I learn more about HM2. I’ve heard talks about it coming out next year in stores, and may be available to purchase online than it will be in stores. This is a short article but I wanted to get you the information I have on it. If you have any comments or questions, leave them below and I’ll get to them as soon as possible. Also if you are interested in hearing about news in lifting, sign up for my monthly newsletter. I will give you news updates in the fitness industry, exclusive subscriber deals, and updates about the site. No estoy seguro, Amazon ha, pero le costo mucho. I cannot find hm2 in Amazon. Where can I find it? I’ve yet to find a good source either. I will give an update to the page when I find one. They have it listed on Amazon but no luck finding it. I don’t think it’s mass produced yet. Does anyone have a picture of the nutritional facts + ingredients? I don’t and I’ve tried finding some and I can’t find any. I don’t know if they are having production problems or what but they never have it available anywhere.